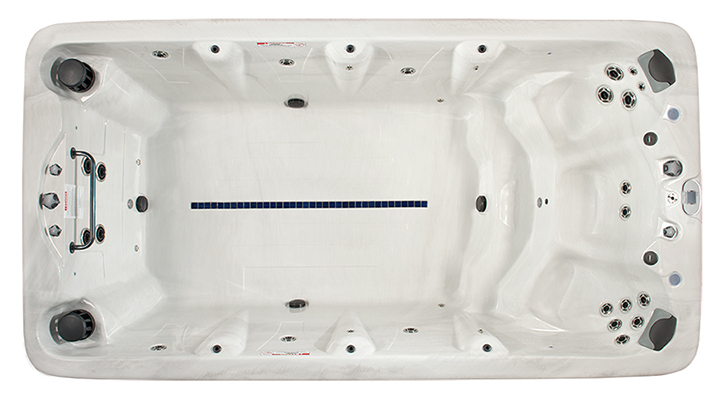 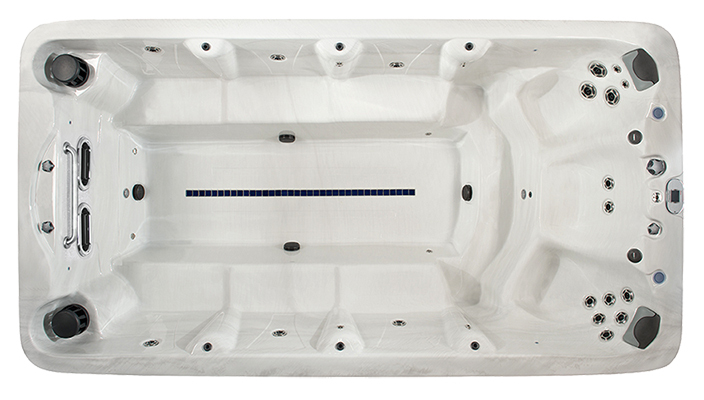 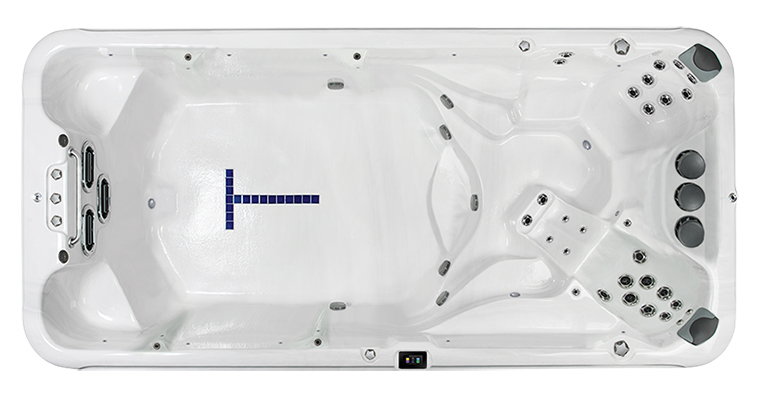 Enjoy the best of both worlds with the American Whirlpool PowerPool DM8—a combination swim spa and hot tub. 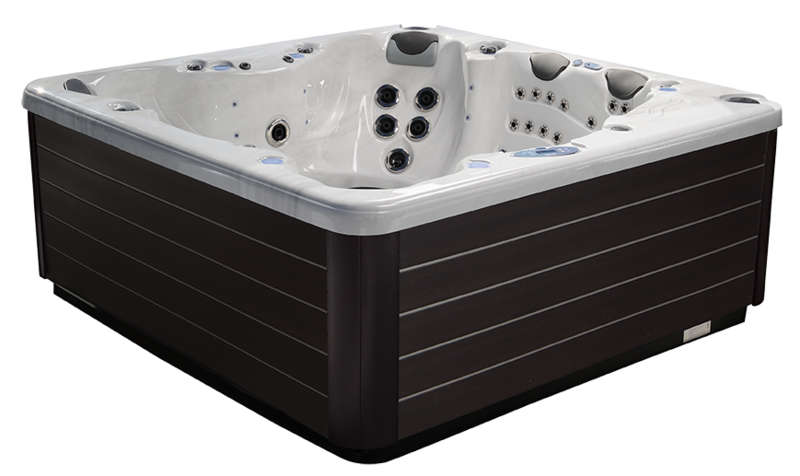 Its two separate operating systems allow you to keep the swim zone at your desired exercise temperature while maintaining your hot tub at a higher temperature for hydrotherapy and stress relief. Work out to your maximum level in the exercise side of the DM8 to the Turbo Swim jets or use the optional PowerResistance exercise kit for strength and resistance training. 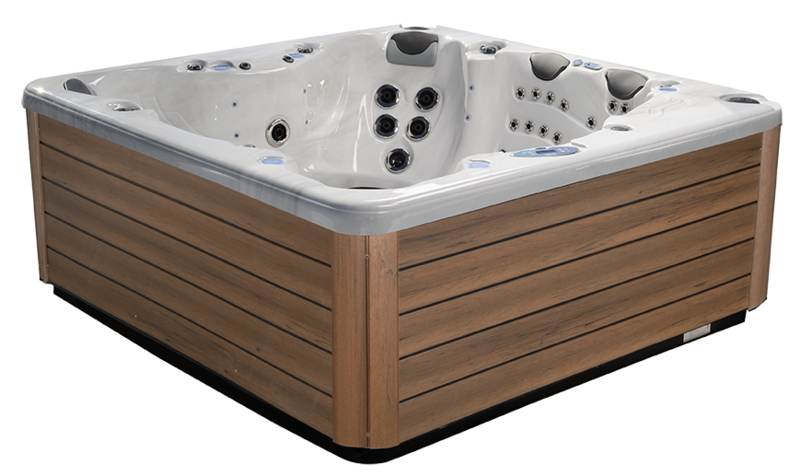 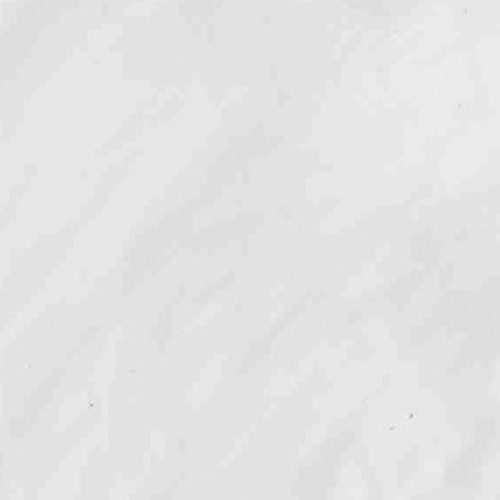 Then relax and soothe muscles in the comfort of the integrated hot tub. 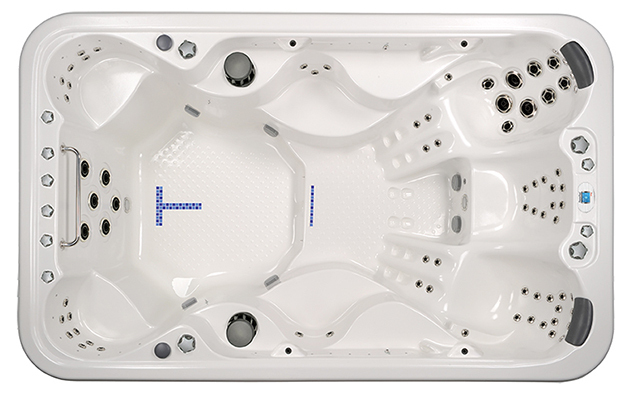 Power, comfort and convenience; PowerPool DM8, all in the safety of your own garden.